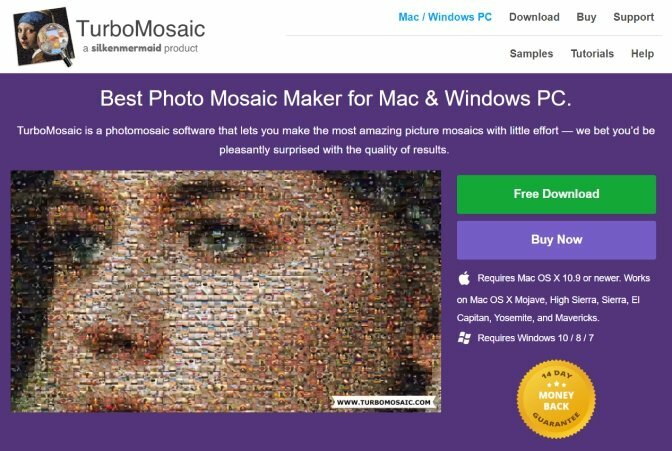 What is a Free Photo Mosaic Software? All programs have their best points, and the same stands true for free photo mosaic software. If you have taken the time to search the internet for any program which can help you to create a mosaic photograph, you might have been confused by the massive number of programs accessible today. What is the best way to know which one of them is the finest? In this post, allow us to present some of the best free photomosaic programs to make your mosaic picture. Are you now ready? In the field of photographic images, a photographic mosaic software is a type of program that creates a picture which has been divided into tiled areas. Each of which is substituted with another image which fits the target image. If viewed at those low magnifications, the single pixels show as the main image. On the other hand, close examination reveals that the photo is made of thousands of small photos. 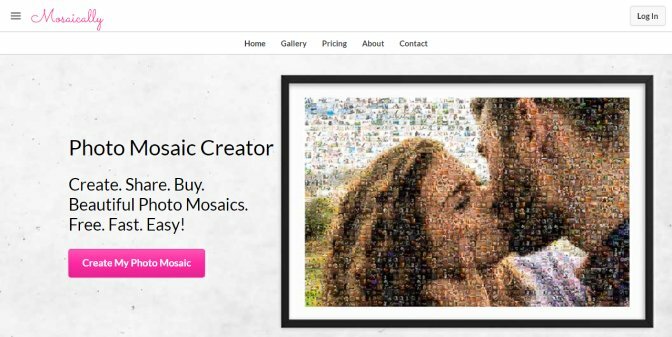 In this guide, we will present you the top ten mosaic creator software that are available online. This list will be composed of ten different free photomosaic programs that you can use on your computer to create your mosaic image. Rest assured that after reading, you’ll find one that suits your taste. Just take note that we’re not ranking the software, as each of them is great in their ways. 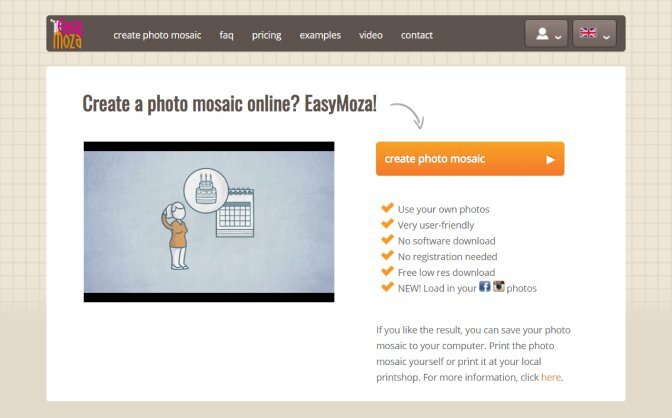 Mosaically is a free mosaic picture software where you can simply make and share exceptionally high-resolution zoomable photo mosaics with your images with no downloading any software. It works on the majority of modern mobile devices like iPad and iPhone running the current iOS and also the latest Android tablets and smartphones. After you’ve created your work, the platform enables it for you to keep your photo private or private. If you wish to share it on social media, the app has this kind of feature as well. All viewers of your photo have the chance to see and zoom the photos of your photographic. 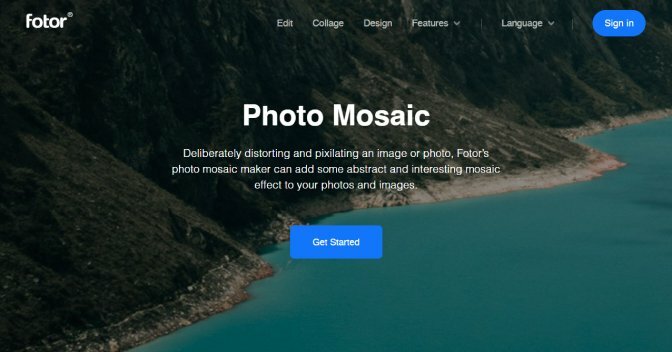 Fotor is both a collage maker and online photo editor. It’s also a useful desktop application for image editing with RAW conversion support. The mosaic feature of this application deliberately distorts and pixilates a photo or image. The photo mosaic maker could add some interesting and abstract mosaic effect to your images and photos. The process of making a mosaic using the app is very simple. Select and open the image you like, and you simply need to apply the mosaic effect to distort or pixelate your photo. Then, adjust the slider to replace the pixel size and voila! You can save your work and pick your preferred size and format. This online app controls the photo mosaic software together with some excellent simple-to-use, DIY features. You can employ photos from any device like a smartphone or PC or from any social media platforms like Google+, Dropbox, Flickr, Instagram, or Facebook. 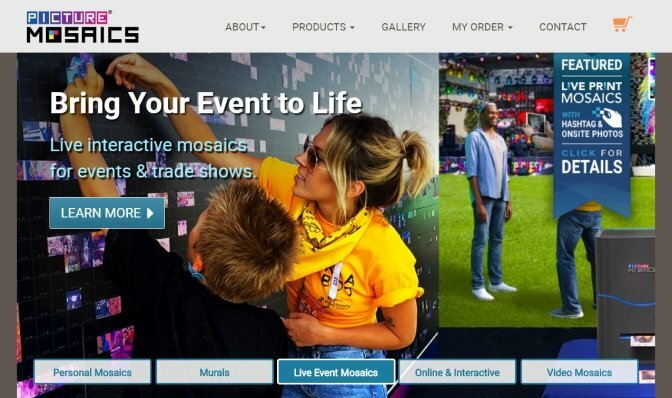 When we talk about mosaic design, the platform in a series of ways consider the even balance among their creative artistic design and software to be the highest priority. Mozaus is an online mosaic creator that will enable you to come up with very amazing mosaics for your images within a short period. 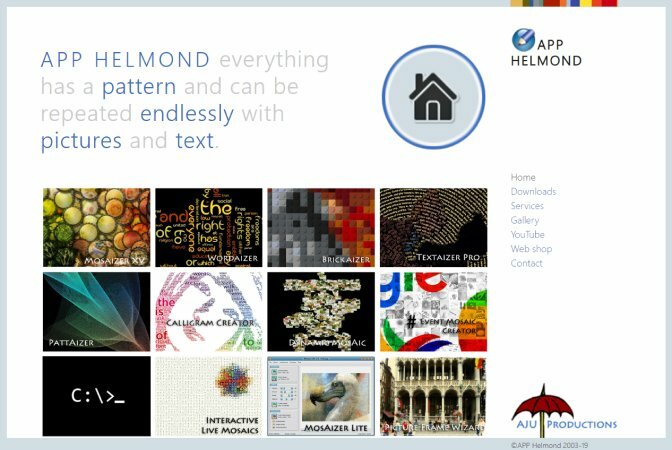 With four simple steps, you can create creatively and present an interesting mosaic that is composed of hundreds and even thousands of details. You see, Mozaus will undoubtedly help you make any images unforgettable. The best thing about this platform is that even when your photo mosaic is small in size, you can expect that its fragments won’t lose their detail and clarity. You can always check all the details of the mosaic. If you’re one of those people who is seeking for more prevailing software for creating a photo mosaic, why don’t you opt to AndreaMosaic? In case you didn’t know yet, this program offers an automatic adjustment, meaning every time you make a photo mosaic, it will help you to crop photos to a right size, adjust photo resolution and correct the color of the photo. Hence, you could make a wonderful custom mosaic easily by using the free software in your PC. Just make sure that you install them. Have we already mentioned that it’s easy to use and free? Mazaika is also a photomosaic creation app. It generates mosaic photos that are composed of any small photos, like a Monalisa poster – a composite of hundreds or thousands of small images which mimic another bigger picture. You can employ photo files in almost any size and format for this composition. 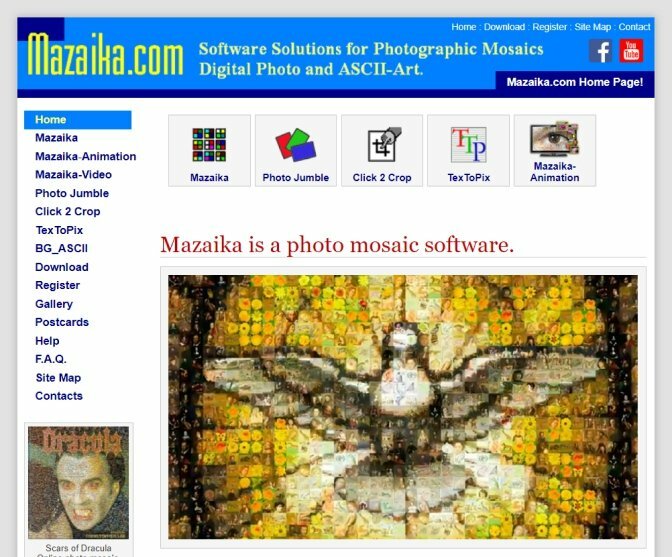 Mazaika can collect mosaics from digital camera shots, captured movie/video frames as well as scanned images. You will find a lot of adjustable parameters for control of the making process. You might adjust any single tile in the mosaic and include a custom tile into the location you wish. Studio Artist offers thousands of options that range from watercolors to acrylics to sufficient eye-catching special effects. Every brush is accessed from one Presets control panel along with an Editor tab for fine-tuning. With the help of the brushes, photos could be painted from scratch. With Texture Synthesis mode, the abstract textures can be generated which are procedurally made, and thus independent of the resolution. Another editor you should not miss is TurboMosaic. You see, this platform is a photo mosaic software which allows you to make the most memorable and excellent photo mosaics with less effort. You can generate the best mosaic in three simple steps. First, choose the main picture you want. Second, choose small tile photos and finally, produce your mosaic. Today, you can download the free trial for Mac or Windows PC. Ultimately, Mosaizer Pro is a picture creation application which combines the effects of the standard image colors and the painting colors which vary massively in appearance and texture. This superb creation software produces images which speak volumes about your personality and thinking. The software enables you to include a personal touch to the images. Mosaizer Pro makes a mosaic of different other images together to create a lovely piece of artwork. There you have it – the top ten free photomosaic program you can use for your PC. 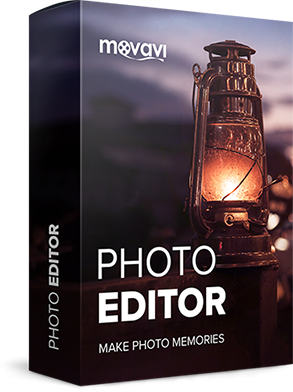 For a BONUS, Movavi Photo Editor is also a picture editing for Windows, which you can also include in your list of choices. It offers one-click fixes together with many advanced tools which could make it a practical option for professionals. 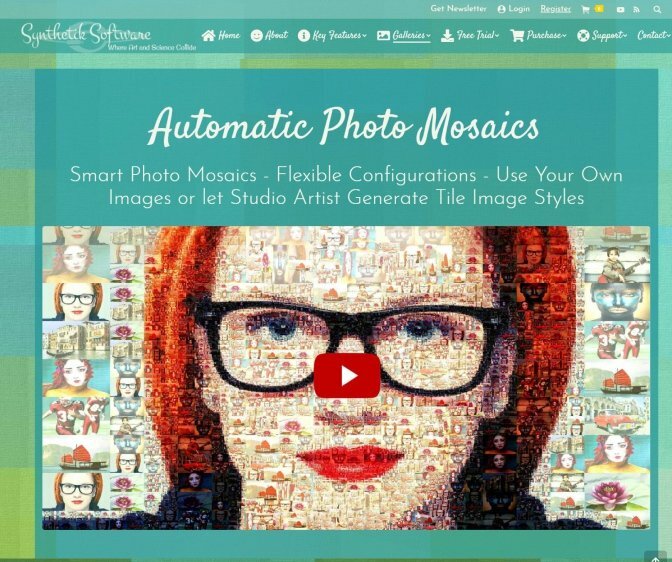 Now, have you chosen a photo mosaic software you wish to use for your artwork? We hope we’ve helped you select the one that fits your taste and style. What are your thoughts about this post? Share your ideas with us by sharing your comments! We’d love to hear about it!